Can Safety Matches Make Us Safe? being screened. Bad credit? We can help. what you know you don't want to know. 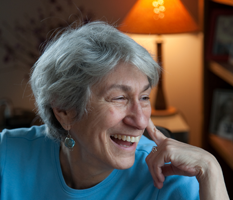 Judith Arcana writes poems, stories, and essays. Her books include Grace Paley's Life Stories, A Literary Biography, the poetry collection What if your mother, and the poetry chapbook 4th Period English. This year her work has appeared in several journals and anthologies online and in print. Judith lives in Oregon, in an apartment upstairs of her neighborhood library.